Real-time strategy game likely set for re-release. The German USK has rated Lock’s Quest, the 2008-released real-time strategy DS game from Scribblenauts developer 5th Cell and publisher THQ, for PlayStation 4, Xbox One, and PC. While publisher THQ Nordic has yet to announce it, it seems that a current generation port of the game may be in development. A diabolical mechanical army devastates a kingdom as village after village falls under their wrath. Only a young, brave hero, Lock, is the Kingdom’s last hope to survive the oncoming invasion. 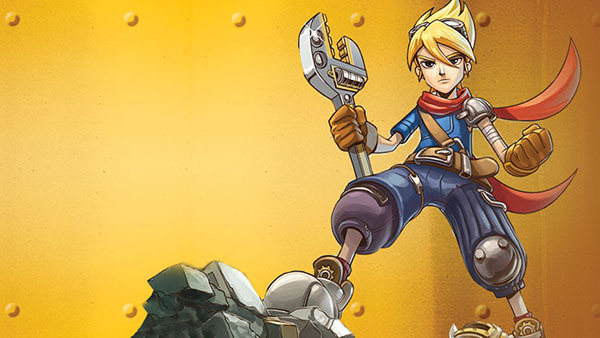 As a newly trained Archineer, Lock must utilize his skills to build customized towers, traps, walls, weapons, and other defenses in order preserve the precious source artifacts. Build and battle in 100 different areas with varying terrains on the map. Two modes of play: Building Mode & Battle Mode. In the Battle Mode, use the stylus to battle robotic invaders and launch special attacks moves to quickly eliminate enemies. Multiplayer – Play with friends and battle against other kingdoms via Wi-Fi. Watch a trailer for the DS version below.